In Melbourne, Victoria’s capital city, do not be surprised to see ringtail and brushtail possums that have adapted to living in an urban area, or the wetland birds in the sanctuary underneath the gigantic Westgate Bridge. The Melbourne Zoo is Australia’s oldest zoo, and houses a large collection of native and exotic species. The Dandenongs, just outside of Melbourne’s eastern suburbs, support tall mountain ash forests with tree ferns and inhabited by superb lyrebirds, crimson rosellas and other birds, and other forest types. The endangered helmeted honeyeater (a subspecies of the helmeted honeyeater) is endemic to the Dandenongs, and survives only in a tiny section of a riparian forest. Approximately between Melbourne and Geelong are the Werribee Water Treatment Plant, which is an excellent spot to search for waterbirds, and the Werribee Open Plains Zoo. 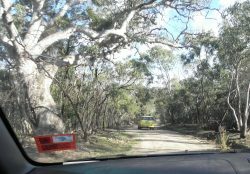 The You Yangs are a small range of hills in this region, and the site of wildlife tours and koala research conducted by Echidna Walkabout. Just south of Melbourne is the State’s most famous wildlife watching attraction, the Phillip Island Penguin Parade. Visitors can see the little (fairy) penguins come ashore each night and waddle up the dunes to their burrows and nesting boxes. Nearby, Seal Rocks is home to almost 9000 Australian fur seals and many sea and shore birds such as pelicans, ibis, royal spoonbills, swans, gulls, terns and shearwaters. The temperate rainforests, tall open forests, woodlands, heathlands and picturesque sandy and rocky beaches of Wilsons Promontory, the southernmost part of the Ausralian continent, harbour many wildlife species, including kangaroos, wombats, possums and many honeyeaters and other birds. You may need to conceal your food well if camping – wandering wombats have been known to be very persistent in their search for a snack. 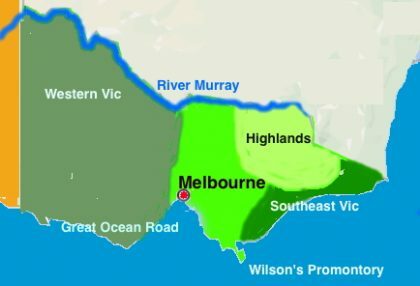 The Mallaccota district in the far eastern part of the state, including Mallaccota Inlet and musical-sounding Croajingolong National Park, combines lush temperate rainforest, heathlands, other vegetation communities and very scenic beaches with a rich birdlife, including some species more typical of northern states (e.g. satin Bowerbird, Conga Pigeon, Lewin’s Honeyeater). The area is classified as an Important Bird Area by Birdlife International because of its diversity and for harbouring the endangered Eastern Bristlebird as well as powerful owls, sooty owls and the elusive ground parrot. Victoria’s high country (part of the ‘Australian Alps’) with its snow-capped mountains, is an important habitat for several rare species such as the endangered Baw Baw frog, the mountain pygmy possum (the only sub-alpine marsupial in the world) and the endangered Leadbeater’s possum (none of which is likely to be seen by casual visitors),, and also wallabies, kangaroos, wombats, gliders, platypus, snakes, lizards, cockatoos, galahs, crimson rosellas, kookaburras, yellow-tailed black cockatoos and lyrebirds. Closer to Melbourne, the Healesville Sanctuary is the first place the platypus was ever bred in captivity, by David Fleay in the mid-1900s. It now houses lyrebirds and many other native species, and has accomplished a more recent successful breeding of the platypus. 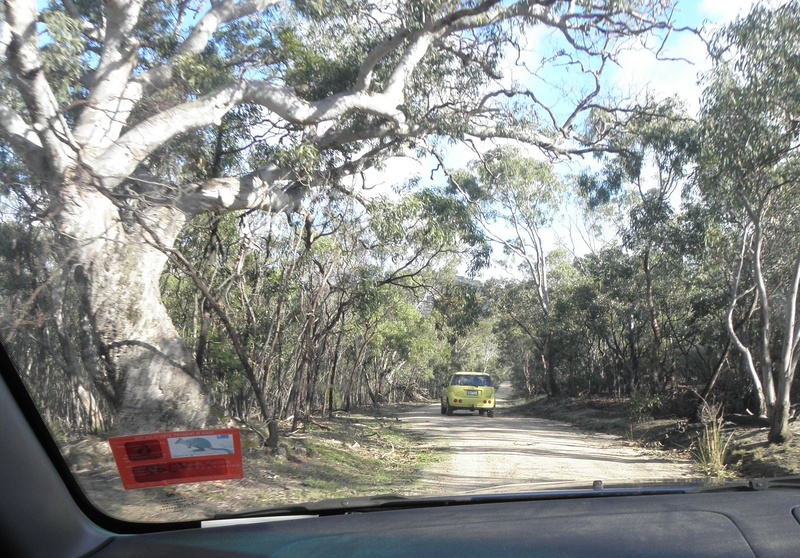 There are some very beautiful drives here, through tall ferny forests. One of the best is the Acheron Way. The wildlife of the Grampians and the Mallee includes gliders, owls, the Brush-tailed rock-wallaby, the Eastern Grey kangaroo, possums, echidnas, emus, wedge-tailed eagles, the endangered regent parrot and koalas. Little exert National Park harbours the mound-building malleefowl (related to the more familiar brush turkey of more northerly and wetter forests). “Mallee” refers to a dwarf form of eucalyptus trees with several trunks emerging from one root, and they dominate some of the drier vegetation communities, especially in Victoria and South Australia. The Great Ocean Road, one of Australia’s National Landscapes, combines the mountain forests of the Otway Ranges, with mountain ash forests, beech-dominated cool-temperate rain forests and other forests and a rugged coastline. Koalas, possums, kangaroos, wallabies, bandicoots, powerful owls and other wildlife make their home here and you can enjoy a walk through the canopy. The best place to see whales close to shore in Victoria is probably the area around Warrnambool, which the southern right whales pass every winter.There are some good dive sits in this area also.